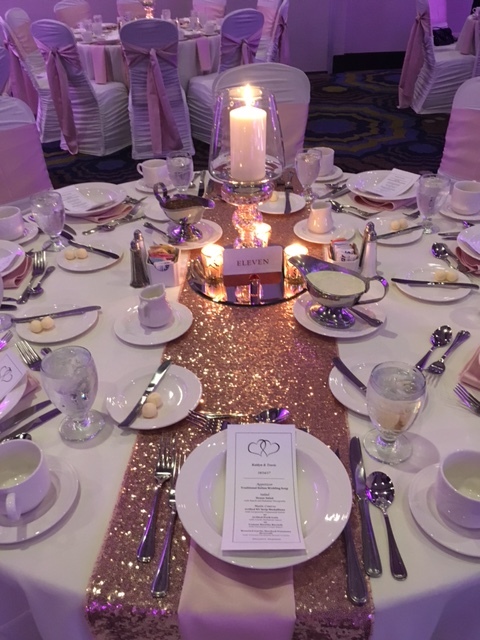 Celebrate an unforgettable wedding celebration at our Pittsburgh hotel, which features over 7,333 square feet of elegant event space, including a stunning ballroom. Walk down the aisle and dance the night away in high-style Pittsburgh wedding venues, with professional catering and sumptuous cuisine crafted by our hotel chefs. Enjoy an evening of making memories, and let our professional event planners handle everything, from menus to decorations to accommodations. 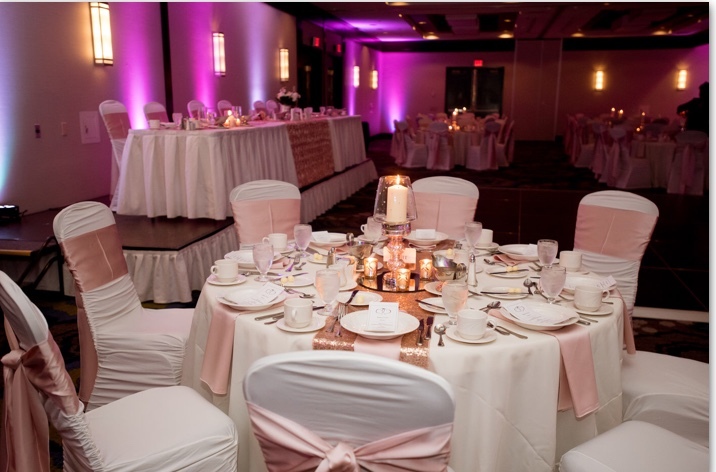 However you envision your wedding, Wyndham Pittsburgh University Center can make it happen. Our professional team understands the significance of this amazing lifetime event, and will be there every step of the way to make your dream come true. Please call our Wedding Specialist at 412-682-6257 to arrange a tour of our wedding spaces and facilities, and to discuss how we can help you on this journey. In addition to its unique proximity to Heinz Chapel, St. Nicholas and St. Paul's Cathedrals, brides also choose the Wyndham Pittsburgh University Center because of the tasteful and reasonably priced wedding receptions. Choose from a four-course plated dinner to an elegant dinner buffet, Wyndham's tradition of white-glove service delivers delectable options and packages suited to every need. The Schenley Ballroom beautifully accommodates 100-200 and includes the Carnegie Room for a private reception room for the Bridal Party. The brand new dance floor, state-of-the-art bars and cocktail tables can be elegantly lit to reflect your color scheme. The Wyndham Pittsburgh University Center is the perfect marriage of location and food ... everything you want in one stylish hotel setting. The only thing a bride should worry about on her special day is herself. A full-service hotel is a city in itself - we have over 100 employees whose job it is to see that your wedding is flawless. Contact Chelsey Baumgardner at cbaumgardner@wyndham.com or 412-682-6257 for your personal tour. Every bride has a vision of how their special day will look and feel. Whether it is an elegant plated dinner or a gourmet buffet, our goal is to provide you with the wedding of your dreams. Call Chelsey Baumgardner at 412-682-6257 or cbaumgardner@wyndham.com for a personalized quote tailored to your wishes and budget. View Our Custom Packages and Menu.